Filing Chapter 7 bankruptcy gives you a fresh start on life. Knowing what to expect can reduce your anxiety. It takes some work to start building your credit again. Chapter 7 bankruptcy stays on your credit report for up to 10 years, plus your credit score takes a big hit once your debts are discharged by the court. But if you were late making payments before filing for bankruptcy, your credit has already been damaged. Now it's time to start building your credit score again by making all payments on time. If you're unable to pay some of your regular payments or pay bills after bankruptcy, prioritize the ones that are most important, and make sure to pay the ones that affect your credit score, such as your mortgage. 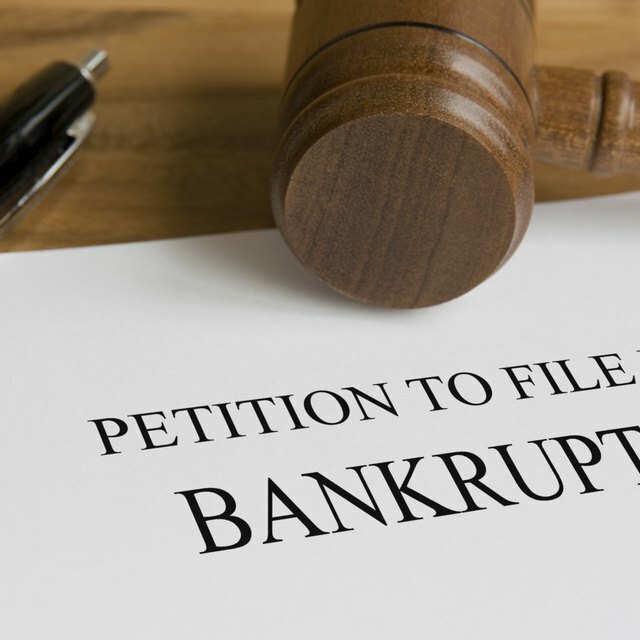 Some debts are not erased by Chapter 7 bankruptcy. For instance, you need to keep up with the payments for student loans, tax debts and child support payments, says Nolo, an online legal resource. If you kept your home out of bankruptcy, you must stay current on those monthly payments, too. Any debts to which a creditor objected, such as those incurred by fraudulent means, are also not discharged. If you reaffirmed a debt that was originally part of the bankruptcy filing, you are now obligated to make and keep up with the payments, says Peter Bricks, an attorney who specializes in bankruptcy. Creating a budget that keeps you on track with paying all of your bills is a necessity so you don't get behind on your payments again. Use your budget to figure out what expenses to cut so you always have enough money to pay your obligations, suggests LegalZoom, an online legal resource. Check out the online budgeting websites listed by Good Financial Cents, a certified financial planning company, to find free tools that help you create your budget. Finding a credit card with a low interest rate and high spending limit is difficult right after you file for bankruptcy. But if revolving credit is important to you, look for a secured credit card that allows you to make a deposit equal to the amount of credit extended to you. Paying the monthly charges on time helps you start rebuilding your credit score -- but only if the card issuer reports to the credit bureaus. Many secured credit card companies eventually give you more credit without requiring an additional deposit. Some eventually convert into unsecured credit cards. Filing for Chapter 7 bankruptcy does not result in legal penalties. But your bankruptcy filing could affect your spouse. For instance, the court may require joint property be sold to pay off your part of the obligation. If your spouse does not also file for bankruptcy, he must continue paying his own debts and his part of any shared obligations, says Nolo.